Boasting 100 beautiful and historically rich guestrooms and suites, The Sam Houston Hotel is full of character, much like its namesake and seventh governor of Texas, Samuel Houston. 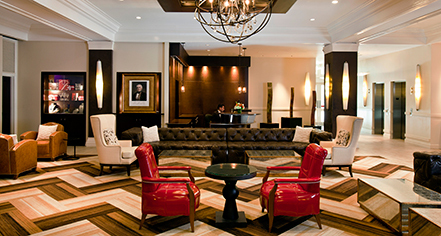 The hotel is designed to incorporate the rich history of Texas while maintaining a chic and trendy decor. Guests can bask in the luxuriously renovated guestrooms in an Art Deco building that dates back to 1924. Downtown Houston and the Theater District await visitors from the front door of this historic Texas hotel. The location makes The Sam Houston Hotel an ideal location for a wedding, business meeting, or special occasion celebration. 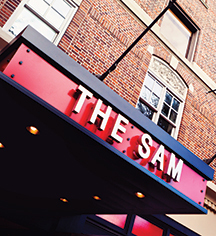 The Sam Houston Hotel, a member of Historic Hotels Worldwide since 2016, dates back to 1924. The hotel was originally built to accommodate budget-minded travelers and rooms went for $2 per night. Cancellation Policy: 24 hour prior to major arrival date. Deposit: Not required unless for special event. Credit card is required for every reservation. Early Check-In/Late Check-Out: Early Departure Fee: $75.00. To avoid an early checkout fee, guest should advise at or before check-in. Late Check-Out Fee: 12noon - 2pm $0; 2pm - 5pm 1/2 day rate, After 5pm full rate. Occupancy Restrictions: 2 people per room type. Parking: Self-parking: Not Available. Valet parking: $32.00 (Valet parking only). Secured: Not Available. Covered: Not Available. In/Out Privileges: Available. Other Parking Information: Sunday-Thursday $32/Fri-Sat $29 (plus tax). Payment: All forms of payment are accepted. Credit card is required at time of booking. Visa, MasterCard, Amex, Diners Club, and Discover are accepted. Pet Policy: Service animals allowed: Yes. Pets allowed: Yes. Deposit: $100.00. (Non-Refundable). Maximum Weight: 50 lbs. Maximum Size: Large. Shuttle Service: Free area shuttle. Boasting 100 beautiful and historically rich guestrooms and suites, The Sam Houston Hotel is full of character, much like its namesake and seventh governor of Texas, Samuel Houston. The hotel is designed to incorporate the rich history of Texas while maintaining a chic and trendy decor. Learn more about the History of The Sam Houston Hotel .